Present were: Ron Williams, Bob Erickson, Bill Flora, Frank King, Glenn Lea, Joe Preston, Stan Paddock, Ed Thelen, Robert Garner. Where to start - ah - we need a little fun !! Sometimes there isn't much glory. Two of the hands belong to Bill Flora, the third hand is Stan's (all Bill wanted - not Stan's brain, not Stan's back, just one hand :-(( And here is Frank King, with Glenn Lea - trying to get it "just right"
Down and dirty - the floor needed sweeping, mopping, and then there are the thick rubber marks from rubber wheels that need scrapping and SimpleGreen (not shown - we got to that later) Here is Frank, near his CT printer. Look at that floor SHINE !! (That long probe pointing at the floor is Frank's stethoscope ( touch long end to a bearing and listen to it. ) Now, is Ed rubbing hard? or is it nap time? The 1401 read some of the virtual tape and halted at the prescribed address. From there we had two options. 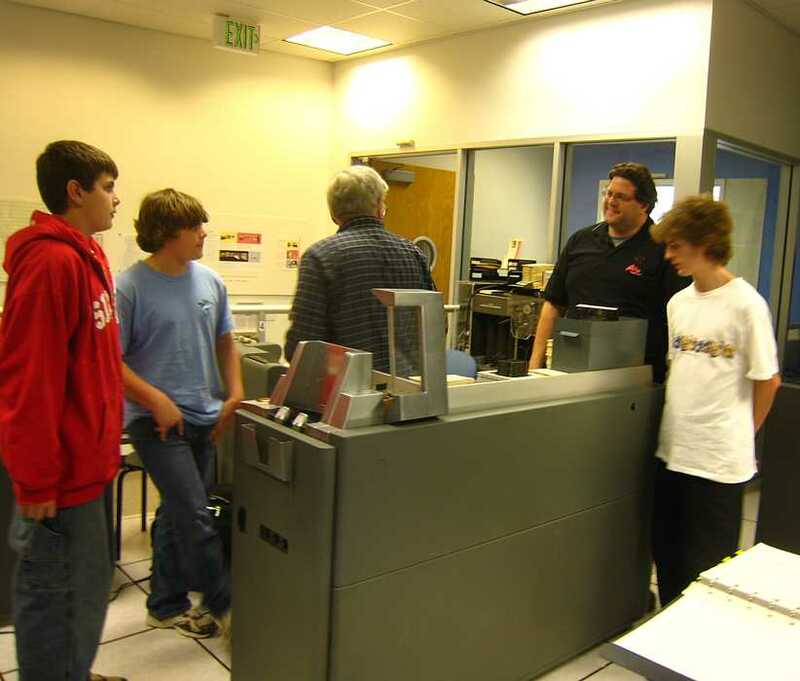 One, press "Start" and the program would print a listing of the program (estimated 350 pages). Two, press "Start Reset" then "Start" to skip printing the listing. We pressed "Start" and printed several pages of the listing. We then stopped the 1401, reset it, and rebooted the tape. The second time through we skipped printing the listing and the 1401 advanced to the next prescribed halt address. We followed the instructions in the manual and readied the 1402 Card Punch. And, after clearing a torn card fragment that was stuck in the punch, we pressed "Start" and the program started punching a 1300+ card "system deck". Punch errors were detected by the program about every 10 cards. Good cards were selected to stacker 4. Bad cards were selected to the normal stacker . Typically, an error resulted in both the bad card and the one after it being sent to the normal stacker . The program would automatically re-punch both of these cards. After every 10 punch errors the program would halt. Pressing "Start" would reset the error counter and the program would proceed for another 10 errors. After punching card 1359 the 1401 turned on a check light showing a non decimal address in the SAR and both I-cycle and A-cycle indicators on. We examined the converted tape image and determined (wrongly) that this was the last card that needed to be punched. We then replaced the Autocoder program with a scratch tape on virtual drive #1 and loaded the newly punched system deck. The 1402 Card Reader raised read check about every 100 cards. 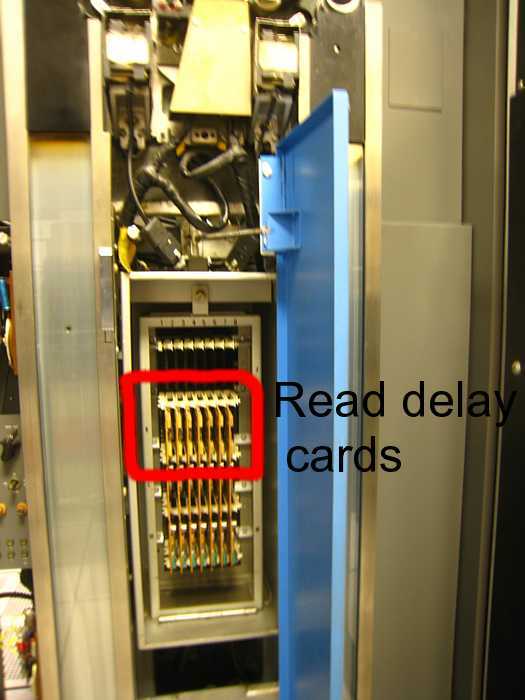 The processing the 1401 was performing prevented the reader from operating at full speed and the "almost full speed" operation was difficult for the card reader. We figured out the secret for continuing after a read check was to restart the read starting at the last card that was placed in the output stacker. That meant that this card and the two cards in the reader track needed to be moved back to the input hopper. The program also detected three gaps in the sequence number order. These cards had been accidentally selected into the normal punch output stacker . Unlike error selections, these cards were individually selected rather than in pairs. We never determined how to restart after a sequence number error. Each one forced us to load the deck from the beginning. We finally got the 1402 to read the entire deck. But, rather than print the expected message on the 1403, the program issued another Read Card instruction. Obviously, the program recognize our last card as the last card. Close examination of Paul's BCD image revealed that my conversion program failed to output the last buffer of converted cards (about two dozen). I fixed the conversion bug and regenerated the readable tape image. Rather than re-punch the entire 1300+ card deck, we were able to extract required two dozen card images to a file. Jeff had written a Tape-to-Punch utility program, so we booted that program to punch the remaining cards. However, the 1402 Punch was dead. It would not move its picker knives. (The output joggers would run.) We spent some time trying to troubleshoot the bug but we were not successful. We did find that one of two small springs near the card input slot was disconnected at one end. We reattached that end of the spring, but it didn't make a difference. The 1401/729 Emulator combination worked well. No errors were observed. The 3rd keypunch from the door does not duplicate cards properly. The process of punching the deck on the Autocoder distribution tape, and then converting the deck to an operational tape, could be done in SimH. Last Wednesday I worked on all four keypunches. The amazing thing is that they all still work! It was reported that number 3 keypunch failed at duplication. Number 4 keypunch was known to jam while punching cards from the IBM PC. Research on number 4 showed that the two primary rubber feed rollers had a coefficient of friction of .0023. With the application of a sheet of glazing material, I was able to elevate the coefficient of friction to .4382. 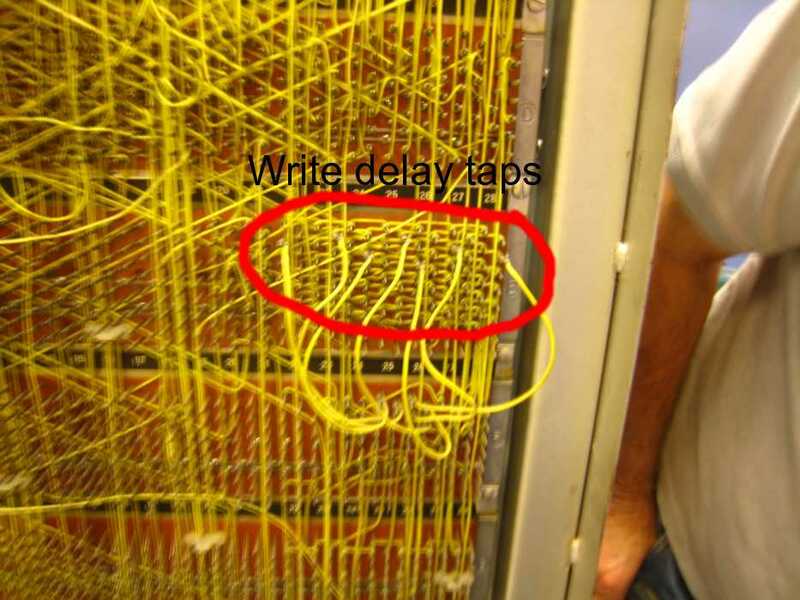 Subsequence testing revealed that this problem was the cause to both reported problems. All four keypunches were tested for duplication errors and none were found. All four keypunches were "modified" to keep chad in the ballot box and not on the table top. 2. Card punch total failure. 3. Multi-color rotating fan fully operational! Despite our best efforts,we all ended up coming in today for a work session. 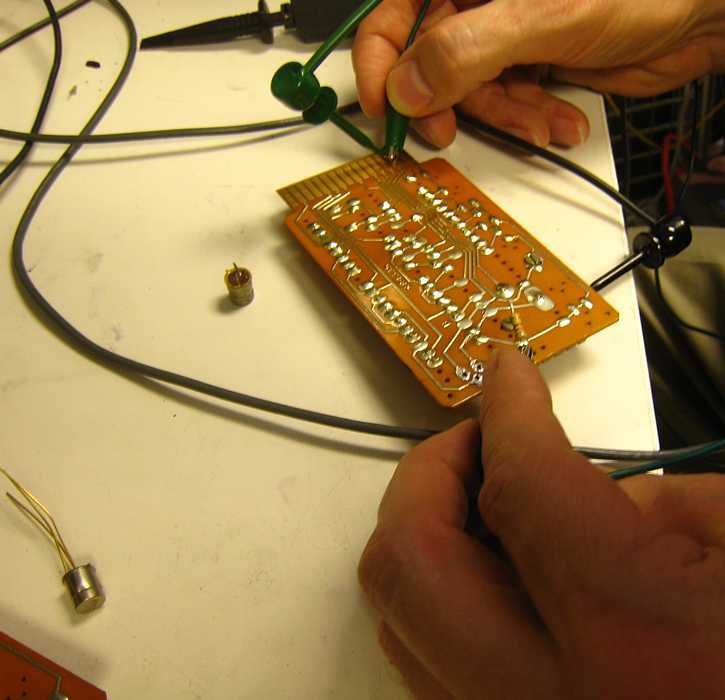 Van had generated an operations tape from our Autocoder "system deck", so we tried to boot it on the DE 1401. Initially, we had a problem with the ASCII encoding. That was easily fixed. We then noticed that booting the tape caused the whole tape to be read and the 1401 to loop reading off the end of the tape. We had also defined virtual tapes on drives 3 (scratch), 4 (input deck), 5 (scratch), & 6 (listing). None of these other tapes were accessed. "999999 HEADR". If it found it, it would check the next record to see if it is an EOF (a BCD Tape Mark). If both checks were satisfied it would exit the loop and start reading records from tape drive 4. Consistently, running at full speed would never exit the loop. Address stopping in the loop caused a normal exit. We don't know which part of the check was failing. By examining this loop, we saw how 1401 subroutine linkage was done. However, to call subroutines, the Index Register Feature must be installed. Does the CT machine have this feature? If it doesn't, it will never run the Autocoder assembler. After address stopping through the loop, we pressed put the 1401 in Run mode and pressed START. The Emulation server instantly "Blue Screened". We then rebooted, address stopped through the first loop, and address stopped through a second loop that read source data records. Before the 1401 exited the second loop, we had read about 8 source records, written 5 listing records, and wrote 3 records to drive 5. When it exited the loop, lots of lights flashed, and the server "Blue Screened" again. I brought Windows kernel MiniDumps home for analysis. The Emulator driver is accessing invalid memory addresses. We noticed that just before the crash, the 1401 rewound tape 5 and may have tried to read it. We also noticed intermittent "Echo Errors" being raised by the TAU. We don't know if the TAU or Emulator is at fault here. We haven't seen these errors since we implemented the echo in Emulator hardware. Also, it looks like our stock market fix is taking hold. So far we have three days of run time without red arrows appearing. The credit belongs to Jeff. He sold his leveraged "ultra-long financials" ETF three days ago. Now if we can get him to go ultra-short with his entire portfolio, the S&P would go back to 1600. No need to post but Ron, Bob and I worked on Saturday. I am proud to boast I fixed the punch on the DE machine. Well I fixed it with a bunch of technical help from Ron and Bob. The reader still has two problems left to address. 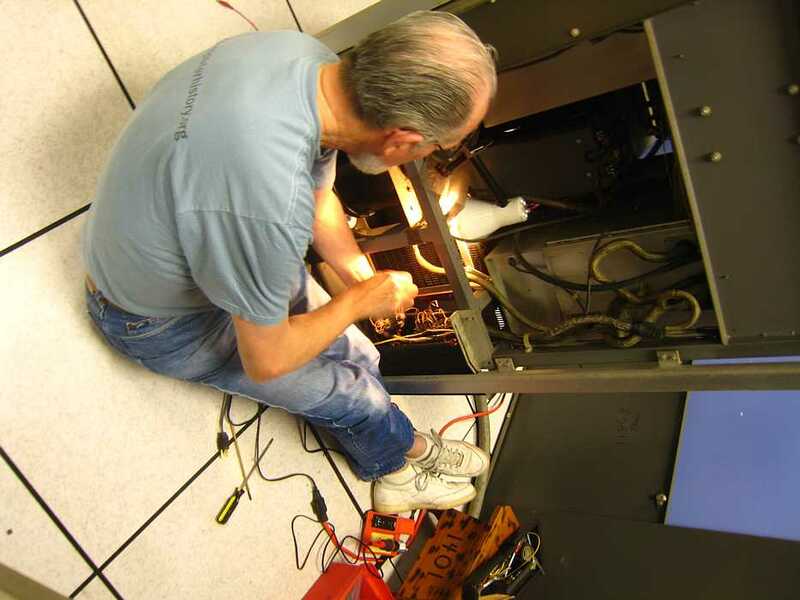 And here is George Carlin - no - that is actually our own Glenn Lea, removing another circuit breaker from one of the CT 729 Mod 2 tape drives. There are about 10 of these circuit breakers, and in this drive, six would pass current correctly - but the sense contacts that should report the unit in conducting state would stay logically open. So Glenn is removing this, and will give it to Joe Preston for "refurbishing". 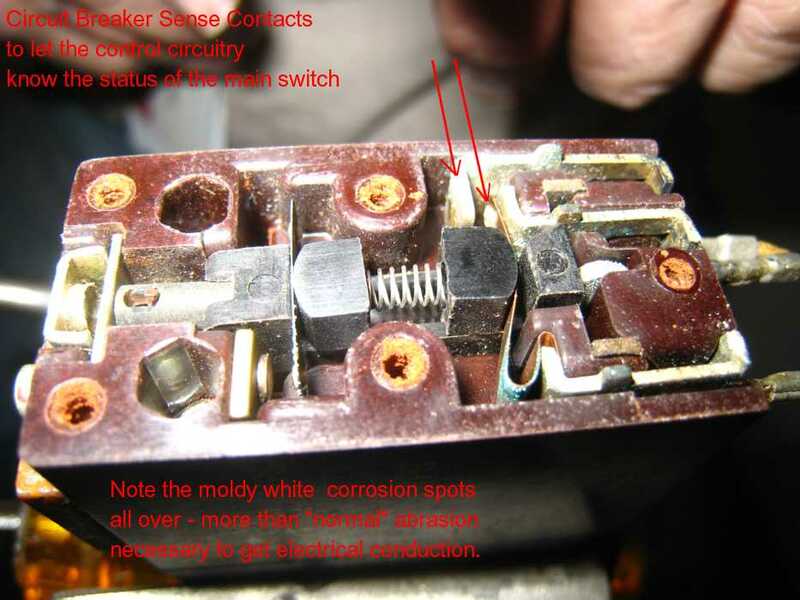 Joe Preston has removed one side of the above circuit breakers - with out any springs flying out :-)) Note the extensive corrosion/mold all through the unit. The left contact will be removed and aggressively sanded until the silver button contact on the right contact conduct electricity through it. Here the base metal contact has been removed for sanding. Later, Ron Crane was appalled at my description of the contact sanding, and that the contact seemed to be base metal. 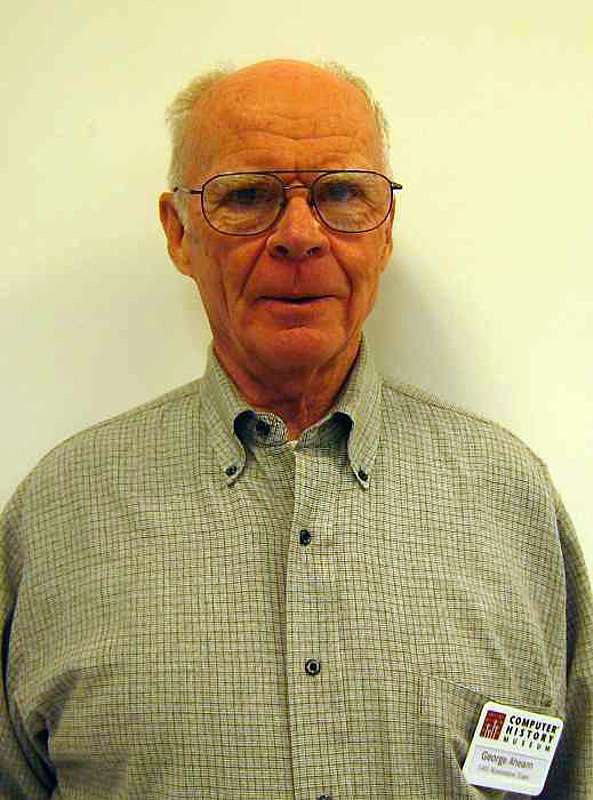 George Alhearn (who worked on the design and implementation of the 1401 in the late 1950's, got his official 1401 Restoration Team badge today. Ron Williams had located a 30 volt regulator card, in the DE 1406 expanded memory cabinet, that would not regulate below 33 volts. This is a threatening problem as we have no more spares. Ron was pressuring me to fix the card (this would be my first card trouble shooting in 30 years) and a different technology. 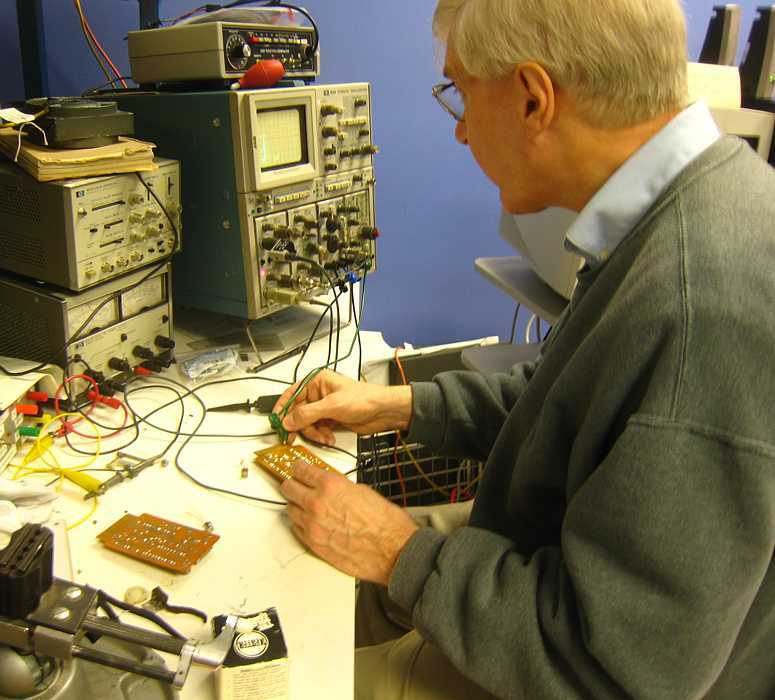 Ron also tested the gains and leakages of the drive transistors. See the three empty holes just above his finger nail? The three legs of the drive transistor had been in there - The leakages were a little high, even for germanium that leaks a lot more than silicon - but still not way out of line. So - Ron put everything back together, and placed the "bad" regulator card back in the DE 1406. We turned on the system - and the power supply seemed to regulate in the required 30 volt area just fine. 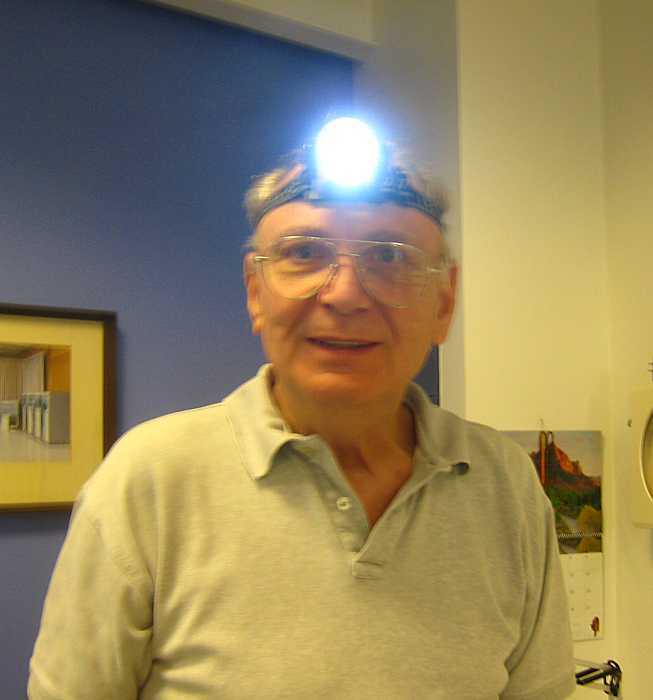 Ron will bring in a hair drier, with extra defuser to assure more even heat all through the air stream, and test the unit for heat sensitivity - maybe the room was considerably warmer when Ron Williams had the trouble. or confess to crimes I never imagined? The 729 tape drives have seven delay lines for the read head alignment and seven delays for the write head adjustment. 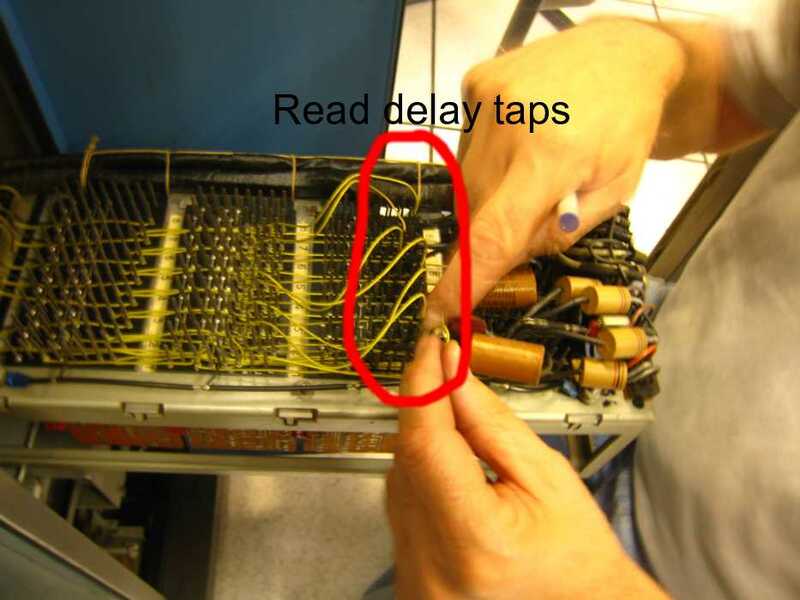 Each delay line has about seven taps, permitting adjustments in 0.25 microsecond increments. Ron Williams asked that we get some more special 5 amp fuses. "We are blowing lots of these trying to get the CT 1402 punch running". OK - what could a fuse cost $0.50 ? each? Judith Haemmerle and Bob Erickson have just about completed an IBM 513 disassembly manual, with lots of pictures. Bob Feretich had me do an Alpha Test on his instructions for using the Tape Simulator. 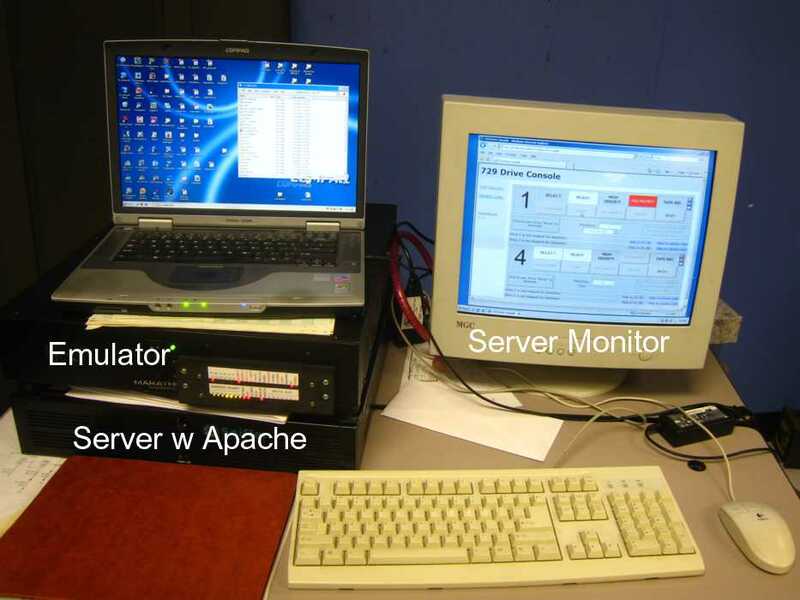 Also involved is a PC with APACHE server software. 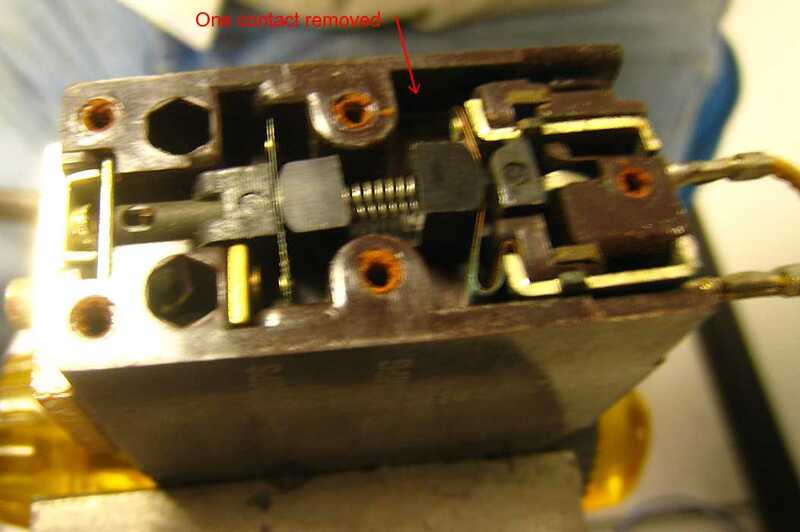 Joe Preston and Glen Lea fixed up two more CT 729 circuit breakers - as mentioned previously, the signaling contacts are badly corroded, and the unit thinks that power is not all the way up. 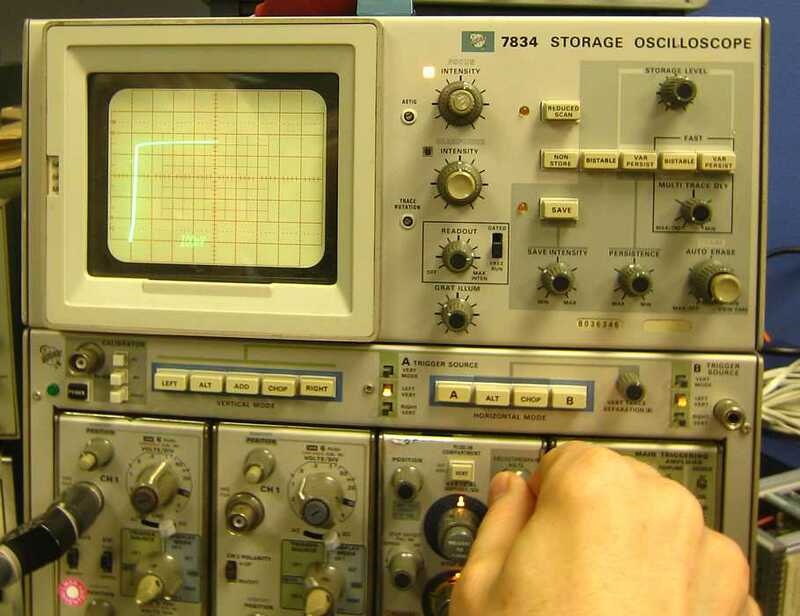 Late Wednesday, we were able to get the DE 729#1 to read and write tapes at 800 CPI. We don't know the root cause of the earlier problems. The error symptom kept changing. We removed the old scratch tape and mounted a Master Skew Tape. The Read Bus signals looked very good when reading this tape. We remounted the old scratch tape. Very few errors were detected writing/reading from the tape. The drive had been powered on now for a couple hours. So it was now warmed up. We ran 800 CPI tape copies in both directions between the Emulator and the drive. No errors. 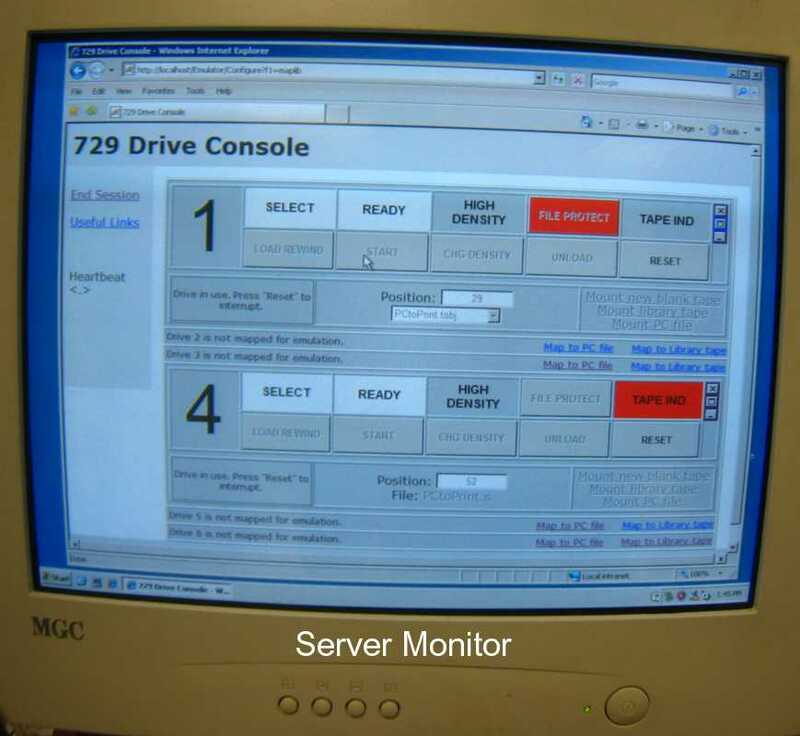 We ran the entire set of tape system diagnostic decks against the drive at 800 CPI with no errors. Oh-yes, Allen invoked favors from the Tape Drive gods. I'm not sure what he sacrificed, but I sure that he/she/it won't be missed (too much). The bottom line is that operation at 800 CPI is temperamental. It may take some fuss'in with the system to get it to read the sample tapes. No progress was made on the Autocoder bring-up. It seems that the End-of-Reel/End-of-File signal is slow. If there is a NOP between the Read Tape and BEF (branch on EOF) instructions, it seems to work. When there is no NOP, we don't branch, but still clear the EOF condition. I plan to visit the CHM about 11:30 to 3:00 next Wednesday, between a dental appointment and a ESC seminar. Next Thursday, I have a full day of seminars.